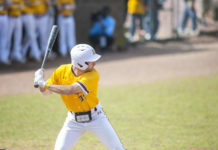 The Rowan baseball team went a perfect 8-0 during their annual RussMatt Central Florida Invitational tournament. The trip was eight days long. During the stay, the Profs outscored opponents 90-29 with a 2.57 ERA. The 11-1 start to the season is the team’s best since 2012, when they started out 10-1. 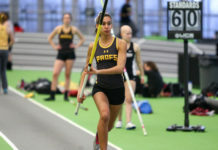 That season, the brown and gold went to the conference championship round in the New Jersey Athletic Association (NJAC) Tournament. Rowan hasn’t been NJAC champions since 2004, but they currently sit two games in front of 8-2 TCNJ atop the division standings. Out of the first five weeks this season, three Rowan players have been earned Player of the Week honors. Last week, Andrew DiPiazza was awarded Pitcher of the Week honors, going 2-0 with a 0.75 ERA and a team-leading 21 strikeouts. Against Ripon College, he tied a school record for strikeouts with 15. Meanwhile, freshman third baseman Justin Provost won Rookie of the Week honors, as he hit .500 (6-12). In the team’s three wins over that week’s span, he also chipped in with nine RBIs, two doubles and three runs. All three games were both multi-hit and multi-run games. So far this season, he’s hitting .379. Fast forward to this past week where junior first baseman Anthony Harrold was awarded Player of the Week honors. In the team’s five games, he hit .666 (14/21), scored 11 runs and drove in seven. Harrold also had four doubles, two triples, a home run, three walks and he hit safely in each game. This is the first time the team’s gone undefeated in the invitational since 2005. In addition to Provost and Harrold, three other Profs’ position players have double-digit RBI’s this season and six have nine runs or more. Five players have a .400 on-base-percentage or higher [min. 29 at-bats]. Harrold leads the team in batting average, runs, hits, total bases, slugging percentage, on-base-percentage and defensive putouts. Seven of the team’s 11 wins this season were by six or more runs, three of which were by double-digits. Rowan was named the top team in Division III baseball on Tuesday, per American Baseball Coaches Association (ABCA) rankings. Wednesday afternoon’s home game versus Neumann will be rescheduled for an unknown time due to the inclimate weather. 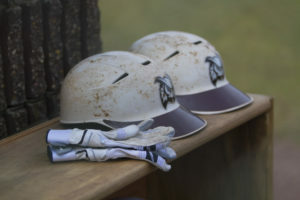 The team won’t return home again until March 25 versus York College. First pitch is set for 2 p.m.